"69 Now Peter was sitting out in the courtyard, and a servant girl came to him. 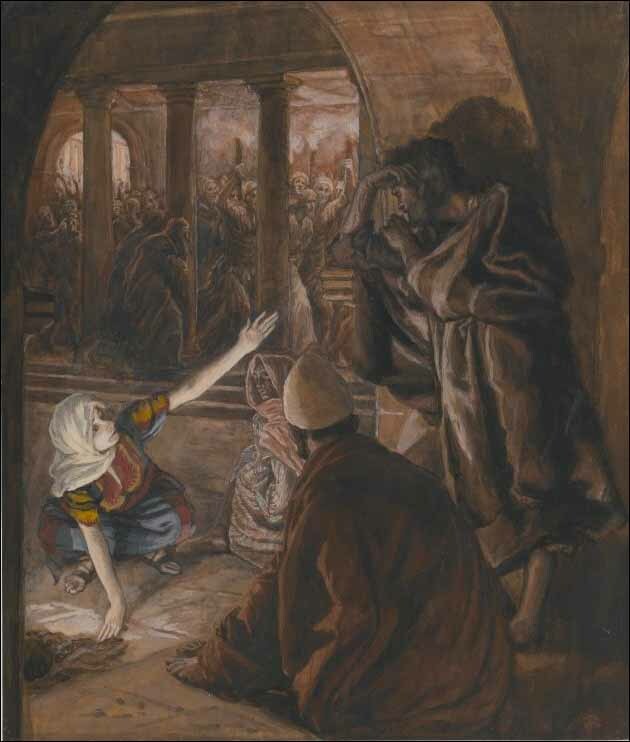 'You also were with Jesus of Galilee,' she said. 70 But he denied it before them all. 'I don't know what you're talking about,' he said. Immediately a rooster crowed. 75 Then Peter remembered the word Jesus had spoken: 'Before the rooster crows, you will disown me three times.' And he went outside and wept bitterly."